Our vision is vital to us, so we want to care for it. As you search for an optician in San Francisco, whether you are looking in the Sunset District, the Tenderloin, Bernal Heights, the Richmond District, or the Mission District, you are looking for the best practitioner you can find. Opticians fill prescriptions from optometrists or ophthalmologists to help patients see clearly by fitting them with eyeglasses or contact lenses. Some opticians do actually grind the lenses to prescription. On the other hand, most work with the patient to get the appropriate measurements, then send all the information to a laboratory for processing. Opticians, sometimes called dispensing opticians, may work in the doctor’s practice, or they may work independently or as part of a chain. It can be a bit confusing to know which optician you want to use. Take a few minutes and use the articles below to help you understand what to look for in an optician. An optician has a limited range of responsibility. They can only fill prescriptions, they can never write a prescription. An ophthalmologist is a medical doctor (MD) who has completed training including a residency. The ophthalmologist can perform surgeries as well as prescribing lenses to correct vision. An optometrist is not a medical doctor, but is allowed to treat certain eye conditions such as nearsightedness or farsightedness. The optometrist’s training is less extensive than that of the ophthalmologist; there is no residency period. As a consequence, the optometrist treats a limited number of conditions. The conditions he or she may treat are based on the state in which they practice. How Does a San Francisco Optician Help? Your local optician in San Francisco, whether in the Tenderloin, Bernal Heights, the Richmond District, the Sunset District, the Mission District, or the smaller areas of the Excelsior, Pacific Heights, or Nob Hill, helps you get glasses with the right frame and lenses for you. They can also help train you to put in, take out, and care for contact lenses. The optician’s services are not available in an online store. These services might include advice about frame size, frame fit, and frame suitability for your prescription. The optician can also help you practice how to put in contact lenses and take them out or learn about the maintenance schedule for your contact lenses. You may have disposables that must be replaced daily, monthly, or at some other interval. Or you may have contact lenses that last for a year and need proper removal and cleaning. 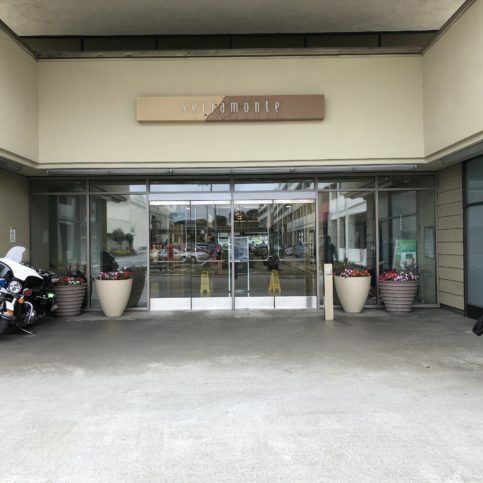 Whether you are looking in the Excelsior, Pacific Heights, the Bayview District, North Beach, or Nob Hill, you can find a dizzying array of frames. Your optician should be able to help you find your best glasses. Typical criteria include what suits your face, your price range, any allergies you may have, and what you will be using the glasses for – whether for work, inside use, or for sports or other activities where durability is key. The range of materials used to make frames is wide. They range from plastics and metals to some more esoteric designs in bamboo, or other woods or unusual materials. Your trained optician should be able to describe the benefits of the different frames. Some patients need materials that will not cause allergies, while others need super light or super durable frames. Among metal frames, titanium and beta-titanium are popular for frames because of the material’s strength, durability, light weight, and ability to resist rusting. There are some particularly flexible titanium-based alloys where the metal will spring back into shape after being twisted or bent. Titanium alloy frames often cost less than all-titanium frames, but the flexible alloys may cost more. These are just some of the options you can choose for metallic frames. Plastic frames are also very common. Many plastic frames are made of cellulose acetate, also called zyl. Modern plastic frames are also frequently made of nylon materials. Hypoallergenic plastics are available. Plastics have the ability to take on many colors, making them a good choice for fashionable looks. Nylon-based plastics are often used for wraparound styles or for sports frames. Ask your optician what difference different materials make in the frame. For example, while plastic-based frames are often less expensive than metal frames, plastics tend to break more easily. Plastics can become slightly weaker over time as they get older and if they are exposed to sunlight. They have the potential, like all plastic, to burn, but it’s rather difficult to start them on fire. Ask if your optician has experience working with children, if that is a need of yours. Your children might have special needs your optician can advise on. Sometimes very young children need eyeglasses with special temples that help the glasses stay on the head. Durability and a light-weight frame can also be important considerations for children, along with spectacles that are that do not arouse allergies. The first measurement to consider in fitting your frames is the PD, also called the pupil distance or pupillary distance. The optician will use a special device to measure the distance between your pupils. This measurement is critical because the center of the lens should be centered over your pupils. If the lens is not centered correctly, unintended prisms may be introduced that can harm your vision. Having an accurate PD is especially important with stronger prescriptions. Other measurements are needed to fit the frames to your head. The optician should take care to adjust the fit of the frame over the bridge of the nose. There may be pads at the bridge that can be adjusted for fit. The glasses should not squeeze the bridge of your nose, nor should they slide down it. The frame’s temple is the piece that passes alongside the head and curves over the ear. It should be long enough to rest on the ear without pressing. The frame itself should be wide enough – slightly wider than your face – so that the temples don’t press into your head. Once you have what you think is the proper fit, try it out. Bend over to pick something up, shake your head, and perform other typical motions that will test how the frames work on your face. Your optician, whether you are being fitted in the Tenderloin, the Sunset District, the Richmond District, Bernal Heights, the Mission District, Pacific Heights, or the Bayview District, begins by filling the prescription written by your optometrist or ophthalmologist. But opticians can sometimes make recommendations that enhance the way your prescription is delivered. A heavy, thick plastic or glass lens from a strong prescription may be too heavy for the frames of your choosing. Your optician can suggest alternatives that are thinner and lighter than traditional glass or plastic lenses. These alternatives, called high-index lenses, use less material to bend the light going into your eye. High-index lenses may be especially beneficial for stronger prescriptions. Polycarbonate lenses can be very durable and are often high-index. High-definition lenses are available in free-form or wavefront types. High-definition lenses take more account of the patient’s eye shape, which may allow them to correct for eye aberrations other than nearsightedness or farsightedness. With free-form lenses, the optician will take additional eye measurements. The lenses are manufactured on machines with very tight tolerances. Some of the additional measurements your optician or eye doctor might include the angle of the eye in relation to the back of the lens in different positions, such as straight on, to the side, etc. Because more measurements are taken, the high-definition glasses are better customized to the patient. Wavefront lenses take into account the exact patient’s eye. The lenses are then ground for that patient. For wavefront high-definition lenses, the optometrist or ophthalmologist will determine if the patient is eligible. Consider asking about an aspheric lens, especially if you suffer from farsightedness. Standard lenses have one curve across the entire surface. An aspheric lens has a flatter curve. Depending on whether the correction is for nearsightedness or farsightedness, the curve on the lens will change, being fatter at the edges for nearsightedness and fatter in the middle for farsightedness. Many aspheric lenses are also made of high-index materials. There are a variety of lens coatings that may be recommended to you. Anti-reflective coating is especially common with aspheric and high-index lenses. Since the aspheric lenses sit closer to the face and are flatter, it is easier to notice more reflections. Scratch-resistance coatings are also recommended to improve durability. Don’t just pay for coatings automatically, though, since many lenses, especially high-index lenses, have scratch resistance already built in. Ultra violet coating – or UV coating – will block 100% of UV rays. A normal plastic lens will block most rays, and most high-index and other new lenses have UV coating built in already. Your optician should be able to tell you whether the coating is built in or needs to be supplemented. Some companies also advertise coatings that help reduce fogging. Photochromic lenses darken automatically when you enter into sunlight and are an option you can discuss with your optician. Some brands offer photochromic lenses especially for driving. These so-called sun photochromics have a pre-existing darkish coating on the glasses that darkens even more when exposed to the sun while driving. This darkish coating is required because the standard photochromic glasses did not darken enough to prevent all UV light from entering when in a car. Glasses may have other tints as well. For example, some sport hunters like a yellow tint, which allows for better contrast when skies are overcast. For users with multifocal needs, your optometrist or ophthalmologist might prescribe bifocals or trifocals. Or they may help you decide if you can use progressive lenses, which provide similar functionality, allowing users to change the distance at which they are focusing. Progressive lenses let users change the distance of their focus without having a line in the lens. When considering progressives vs. bifocals or trifocals, you should know that bifocals or trifocals often offer a wider lens area for each focus range. You may also be prescribed multifocal lenses for specific tasks, like working at the computer. There is some evidence that when children wear bifocals or the like, they reduce their nearsightedness, since the eyes don’t have to focus so much for near tasks. Opticians can help you find the right frames and help you try on and adjust multifocal lenses. Whether fitting you in the Tenderloin, the Sunset District, the Richmond District, the Mission District, Bernal Heights, Pacific Heights, the Bayview District, or North Beach, your optician must be able to help you insert and remove your contacts. Contact lenses come in different powers, diameters, and curvatures. The optometrist or ophthalmologist will determine which contact lenses are right for you based on your particularities. When filling contact lenses prescriptions, opticians must fill the prescription with the brand prescribed by the eye care professional. A loophole does exist for manufacturers who have generics for name brands. Your optician should help you feel comfortable with putting in and taking out the lenses your eye care professional has prescribed. Contact lenses are medical devices used to resolve vision issues similar to those addressed by eyeglasses. You can get contacts for nearsightedness and farsightedness, bifocal contact lenses, and the like. Even toric lenses are available. A toric lens allows users with astigmatism to wear contacts. Previously, astigmatism prevented patients from using contacts, but toric contact lenses to treat many conditions are now available – including disposables, multifocals, colored, and the like. There are even contacts that perform orthokeratology. These "ortho-k" contact lenses shape the eye during use at night, allowing the user to sometimes go without wearing any corrective lenses during the day. Contacts are either soft lenses or gas permeable (RGP) lenses. Soft lenses are made from soft plastics containing water. The water is used to carry oxygen to the eye. Gas permeable lenses allow more oxygen to the eye. They tend to be smaller than soft lenses. Since gas permeable lenses do not cover as much of the eye, users may find them less comfortable initially, though they provide many users with better vision than the soft lenses. A new type of soft lens, called silicone hydrogel, is now available. This soft lens allows oxygen into the eye. As such, silicone hydrogel is a good choice for those who want to sleep in their contacts. Your optician should be able to provide you with information on how to get used to your contact lenses, no matter what type they are. Fun contact lenses are also available – to change or deepen eye color, for example. Even contact lenses that are for purely cosmetic use, such as changing the eye color, must be prescribed by an optometrist or ophthalmologist because all contacts are medical devices. Wherever you are in San Francisco, whether in the Tenderloin, the Sunset District, Bernal Heights, the Mission District, or the Richmond District, work with your optician to understand the schedule for replacing your contact lenses. Gas permeable lenses may be worn for a year, or however long you go between doctor visits. Soft contact lenses may be disposed of on a variety of different schedules, including daily, weekly, monthly, or other times. Ask your optician about the proper replacement period for your lens. For contacts that you wear longer than a day, ask your optician how to clean and store your contacts. Soft contact lenses have an expiration date. You should take account of the expiration date. Soft contacts are packed in fluids that have the ability to become contaminated. You would not want to place contaminated material in your eye. How Do You Figure Out Who’s a Qualified Optician in San Francisco? Whether in the Tenderloin, the Sunset District, the Richmond District, Bernal Heights, or the Mission District, it won’t be difficult to find a choice of optician. You might go to one of the chain stores that specialize in filling prescriptions. Or you might work with someone in your optometrist’s office. In any case, find out who you will work with and their qualifications. To be a Registered Dispensing Optician (RDO) in California, you must have a license from the state. RDOs are the companies (whether consisting of one person or multiple people) that fill the eyewear prescriptions. Registered Spectacle Lens Dispensers (SLD) and Registered Contact Lens Dispensers (CLD) must also have state licenses. These latter two are the people who are permitted to fit and adjust spectacle lenses and contact lenses, respectively, at a company that has an RDO license. The SLDs and CLDs must display their licenses at work. The state also requires that out-of-state vendors that deliver contact lenses at retail to California addresses be licensed as Registered Nonresident Contact Lens Sellers. The Medical Board of California manages these licensing programs. Doctors may not have any financial relationships, of any kind, including landlord/tenant, with an RDO. So if you get your contacts or glasses at your optometrist’s or ophthalmologists, you will not be working with an RDO, SLD, or CLD. The technicians working with you in the office will perform under the supervision of the doctor or optometrist. The technicians may have voluntarily chosen to get a certification from the American Board of Opticianry or the National Contact Lens Examiners. These groups require training and ongoing education for those who wish to become certified. However, neither this voluntary certification nor any state licensing is required for technicians working the doctor's or optometrist's office. Why Trust Diamond Certified Opticians Rated Highest in Quality? An optician helps his patient choose new glasses. A: The Golden State Warriors. A: “Barbarians at the Gate: The Fall of RJR Nabisco” by Bryan Burrough and John Helyar. It’s an in-depth account of the buyout of Nabisco back in the 1980s, which at that point was the biggest corporate acquisition that had ever taken place. A: Barcelona—it’s a beautiful city to visit. 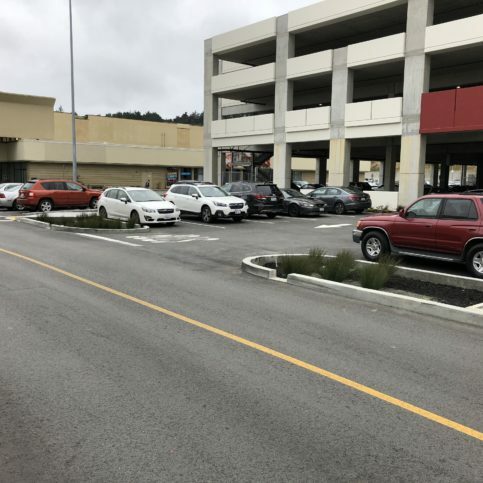 Convenient parking is available near the closest mall entrance for Site for Sore Eyes – Daly City. 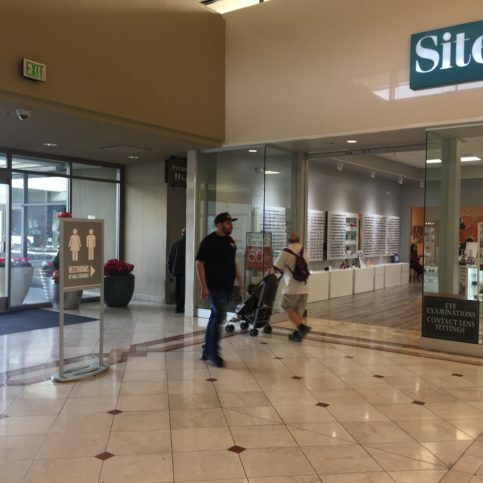 Site for Sore Eyes – Daly City offers a broad selection of frames from the top brands in the industry. 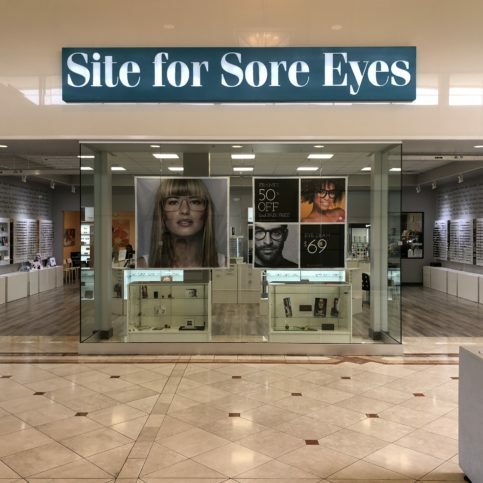 Site for Sore Eyes – Daly City is located at 44 Serramonte Center (Serramonte Mall) in Daly City. Whether you are looking in the Tenderloin, the Richmond District, the Mission District, Bernal Heights, the Sunset District, Pacific Heights, or the Bayview District, treat the search for a good optician the way you would treat a search for a good doctor. You need someone you feel comfortable with, and someone who is out to support your best interests. As you get ready to search for an optician, there are several things you may want to ask yourself so that you can take best advantage of your time. Do I want a Diamond Certified optical center in San Francisco that is rated best in quality and backed by the Diamond Certified Guarantee? Does the optician offer frames and styles that suit my needs and tastes? Can the optician offer help in fitting frame styles to my features? Do I have a prescription that has prevented me from getting frames or contacts in the past and do I want to explore whether there are new materials that solve the problem? Do I have the prescription from my optometrist or ophthalmologist? Have I experienced any dissatisfaction with my current eyewear/contact lenses? Do I have a particularly strong or unusual prescription? Do I want to explore changing from contacts to glasses or vice versa? Do I want glasses for sports or other performance situations where frame material might be important? If I wear glasses, do I have any irritations or discomforts as far as fit or keeping the glasses in place? Your relationship with your optician should encompass mutual respect and comfort, whether you are looking in the Sunset District, the Richmond District, Bernal Heights, the Tenderloin, or the Mission District. Once you’ve performed your phone interview, you’ll have a better idea of who you might want to work with. Only think about working with practices where you did not feel rushed and where you felt your concerns were handled reasonably. Let the phone customer service be a guide to finding the in-person service you want. You may not always visit an optician in person for an interview before you make your purchase, but if you can, you can get a better sense of the place. It’s a good idea to have a list of questions you can draw on when you meet your optician in person. Can you help fit me for prescription sunglasses? Can you recommend specific frames for my sport? Can you help me get glasses that don’t magnify the size of my eyes? Do you often work with children? Can you tell me how to care for my particular contact lens prescription? Looking at my features, can you recommend a frame style for me? Do you recommend a specific frame material – plastic, metal, titanium, flexible titanium alloy? I don’t like touching my eye – how can you help me wear my contact lenses? My lens prescription is very strong. Can you recommend lens material? Can you help me find frames that will support the lenses for my prescription? It’s best to choose a Diamond Certified optician because all certified companies have passed an in-depth ratings process that most other companies can’t pass. 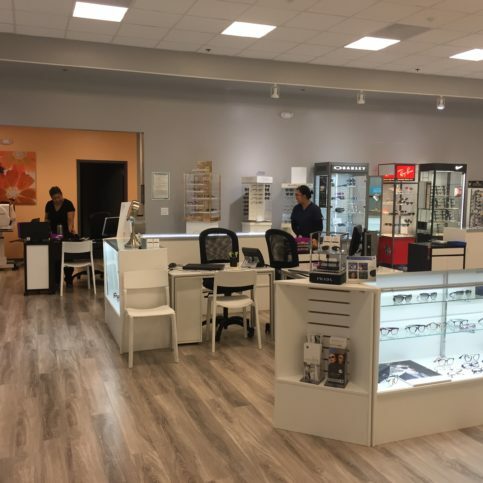 If you want quality from an optician in San Francisco and the greater Bay Area, you can have confidence choosing a Diamond Certified company. Diamond Certified reports are available online for all certified companies. And you’ll never be fooled by fake reviews. That’s because all research is performed in live telephone interviews of actual customers. If you can’t find a Diamond Certified optician or optical center within reach, you’ll have to do some research on your own. If you do, it’s wise to call some references provided by your optician. 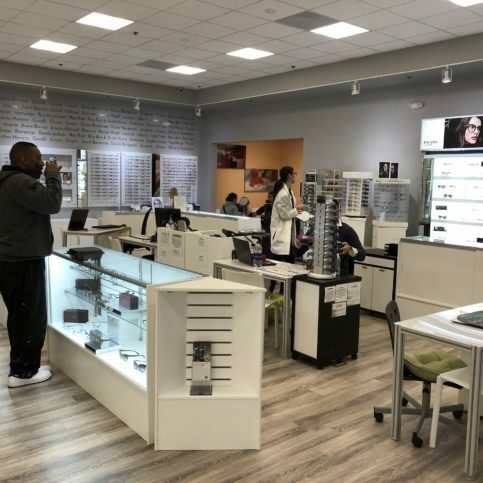 Keep in mind, though, that references provided to you by the opticians and optical centers in San Francisco are not equal in value to the large random sample of customers surveyed during the Diamond Certified ratings process. That’s because references given to customers from companies are cherry-picked instead of randomly selected from all their customers. So the opticians will likely give you a few customers to call that they know are satisfied. Did you think that recommendations were clearly explained – for example, why a high-index lens material would improve vision or appearance? Did you feel pressured to buy extra coatings or did the optician clearly explain which coatings were already included in the lens material and which should be added? Were you happy with the end result or do you find yourself dissatisfied and why? If you wear glasses, do they sit comfortably on your face or do you find them too tight or too loose? Do you wear glasses all the time or for specific tasks? Did you find yourself feeling rushed or not listened to? Were you comfortable with the personnel who ended up fitting you? Did you get fitted for glasses or contacts? Did the person fitting you seem qualified and competent? Were you working with a technician in a medical office or with an independent person or firm who was filling the prescription? 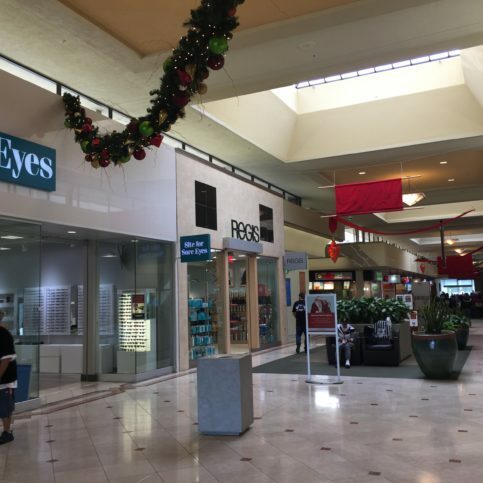 You’ve narrowed down your list to a few good optical centers and local opticians. Now, before deciding on the best opticians in San Francisco for you, consider the following questions. Does the opticians listen to me and my concerns and take time in working with me so that I don’t feel rushed when choosing new eyeglasses or contact lenses? Does the SF optician demonstrate a commitment to keeping up with training? When I discuss the particulars of my prescription, does the optician seem comfortable discussing them, especially if I have a slightly unusual case? Does the optician carefully perform the required measurements? Can the optician discuss how to maintain and best preserve my contacts or glasses? Is the optician competent and does he or she have the required licenses, certification, training, or supervision to carry out the fitting? Do I feel comfortable with the optician working with my optometrist or ophthalmologist, or do I wish to take my prescription elsewhere? Does the opticians in San Francisco demonstrate a knowledge of modern materials that can make glasses lenses thinner, lighter, and in some cases, perhaps provide better vision? Can the optician discuss why certain frames may or may not be suitable for my prescription and techniques and materials that may make the lenses fit the frame? If I want them to, can the optician discuss frames that fit my features? When you look for an optician in San Francisco, whether you are looking in the Bayview District, Pacific Heights, Nob Hill, the Tenderloin, the Sunset District, the Mission District, Bernal Heights, or the Richmond District, consider what you want before speaking with the optician. Ask if the optician stocks your brand if you have a particular brand of frame that you are looking for. If you have a strong or unusual eyeglasses prescription, it may have previously prevented you from getting the frames or contacts you wanted. Remind yourself of what you wanted and ask the San Francisco area opticians if there are any new materials that now allow you to get what you want. It’s in your best interest to know as much about your eye conditions and eyeglass prescription as possible. Then you can join with your optician to make the best choices. Whether in the Tenderloin, the Mission District, Bernal Heights, the Sunset District, or the Richmond District, you play an important role in helping your optician work smoothly with you. First, bring the prescription from your optometrist or ophthalmologist. Typically, the original, signed prescription is needed. An optician cannot fit you without the prescription. Since you choose to use an optician to fill your prescription, it makes sense to listen to the recommendations. A good optician can help you find flattering frames. They can guide you through the many decisions you may face from frame material to lens material to lens coating. Relaxing and providing calm feedback during fitting sessions, whether for glasses or contacts, can return the best results. You may require time to adjust to your contacts or glasses. If you have problems within a few days, don’t be shy about returning for additional fittings. If you are waiting for an order to be filled, ask your optician when it should arrive. How will they contact you when it arrives? Ask how you can get in touch with them if it does not arrive on time. Ask whether you will come in to be fit when the order arrives, or whether it is something you can pick up or have delivered to your home without a fitting. Most glasses need a fitting to assure proper adjustment, and most first-time contact lens wearers are asked to come in for a fitting. After the first time, unless there are significant changes, you will probably not need another contact lens fitting. How Can You Be a Good Optician Customer? It’s the optician’s responsibility to fit you with contacts or glasses. But you play a big part in the success of your optician, too. Here are a few simple steps you can take to be a good customer when hiring a San Francisco optician. Be clear and upfront with the opticians. Let them know what you want from your opticians, the long-term outcome you’re expecting and specific ways they can satisfy your expectations. Before you hire an optician in San Francisco, restate your expectations and goals, and reiterate to the optician’s representative your understanding of the agreement. Most problems with local opticians occur because of a breakdown in communication. By being clear about your expectations and theirs, you can avoid most conflicts. Ask your optician if you should call to check on the progress or if he will call you with updates. Be sure your service representative has a phone number where they can reach you at all times while they’re working with you. The work will move along more smoothly if your optician can reach you for any necessary updates, questions or work authorizations. When your optician contacts you, return calls promptly to keep the optician on schedule. Pay for the optician’s work promptly. Why would you want to be a good customer? Opticians in San Francisco appreciate customers who are straightforward, honest and easy to work with. Your good customer behavior sets the tone from your end and creates an environment conducive to a good relationship. Things may very well go smoother and any problems may be more easily resolved. Take just a moment to verify you receive what you ordered. When you receive your glasses, make sure the frames are those you ordered. Try the glasses on to ensure correct vision. When you receive contact lenses, check the boxes to make sure they are the ones named in your prescription. Be sure to ask your optician because you most likely have warranties on your frames, lenses, coatings, and contact lenses. Many manufacturers offer scratch protection for a year on lenses, for example. Some manufacturers offer warranties on frames that cover breakages. Ask your optician for terms of all warranties, what is covered by the warranty, and how to make a claim. Ask for written warranties. As mentioned, you may need more than one fitting to ensure the best fit for your glasses or contacts, and this readjustment should be provided for free as part of the fitting process. Your optician should work with the prescription from your optometrist or ophthalmologist to get you the best lenses – whether glass, plastic, or contact lenses – for your situation. The optician fills the prescription from your eye care professional. Opticians may be able to guide you to new, thinner, lighter material for eyeglass lenses, or may be able to help you find the ideal frame for your face. Once you have your prescription, an optician can help you choose sunglasses. Sunglasses often have specialized frames that help to block out the sun, besides the tinted lenses. Be sure to ask your optician for 100% UV protection. Some materials already include this, while others may require a coating. Patients who play sports or take part in other high-performance activities may ask their opticians to recommend special frames for glasses for these activities. The frames are typically more durable than everyday frames. You may have a prescription for special use eyeglasses – glasses that are only used for reading, or for the computer, etc. Once you have the prescription, the optician can help you fill it. Once it’s determined that you need bifocals, trifocals, or other multifocal correction, your optician can help choose the frames and materials that suit your needs. Progressive lenses are available that give the user the ability to change the distance of their focus without having lines in the lenses. There are benefits and drawbacks to multifocal vs. progressive lenses, with one drawback to progressives being that peripheral vision may not be as strongly supported. * Discuss the options and pros and cons with your optician. Multifocal contact lenses are also available. An optician can help you fit your child with contacts or glasses. Look for opticians who offer child-sized frames and features. For example, some glasses wrap around the ear to keep them on the child’s head. Look for an optician who is patient and gentle when dealing with children. When patients have a new prescription, they often want a new set of eyeglasses, including new frames. Opticians can help choose the frames, may grind the lenses, and can recommend lens materials like high-definition lenses. First-time contact lens wearers are usually asked to see a professional so that the patient can be trained on how to put in and take out the contact lenses, how to care for the lenses, and the recommended period for replacing or disposing of the lenses. Once a patient has contact lenses and a contact lenses prescription, they can fill that prescription until it expires. The optician can provide the contact lenses to limit described in the prescription. Sometimes frames are damaged in ways that can be repaired – the bridge pads are loose or come off, or the temple piece comes off. Opticians can fix frames by replacing the tiny springs and screws or other small pieces that make up the frame. Sometimes glasses frames break or go out of style, or the patient just wants to replace them even though the lenses are still good. In this case, the optician may be able to fit the lenses to a new frame. You must take some care here, though, since frames may be of different sizes and the lens must be placed correctly over the pupils. Don’t despair because of previous visits. New materials and techniques continue to improve eye correction devices, so it’s worth asking your optician, optometrist, or ophthalmologist about new materials. Newer materials are making eyeglass lenses thinner and lighter, as well as providing better vision. New techniques allow better measuring of the eye for better vision correction. Newer contact lens technology is introducing products that offer longer term wear with improved oxygen flow to the eye. Below are some of the brands involved in bringing new products and techniques to the eye care market. Johnson & Johnson produces soft contact lenses. Its products include silicone hydrogels, some of which allow overnight wear. Others are disposables. Johnson & Johnson produces the Acuvue line. CooperVision produces the Biofinity and Avaira brands of soft contact lenses made from silicone hydrogel. Zeiss offers high-definition lenses for both progressive and single vision prescriptions. Essilor provides high tech lenses, including high definition lenses for eyeglasses, among other vision correction materials. Bausch + Lomb produce soft contact lenses, and their brands include PureVision, which is a line of silicone hydrogels. CIBA offers soft contact lenses, including some made of silicone hydrogel. Air Optix is one of their lines, along with Air Optix Night & Day. Transitions Optical is best known for its photochromic lenses that darken with exposure to sunlight. In fact, any brand’s photochromic lenses are sometimes called "transition" lenses in a sort of short hand. Crizal produces high-index lenses for eyeglasses. Hoya’s lens offerings include high-definition lenses for spectacles. Their free-form lenses are for both single and multifocal prescriptions. Shamir Insight offers single vision and progressive high-definition free-form lenses for eyeglasses, among other offerings. When you visit your optician, you may encounter some unfamiliar words. The glossary below should help you talk with your eye doctor and your optician and uncover the right contact lenses or spectacles for you. A tool that measures how light waves travel through the optical system. It helps determine what vision errors may be present. An ablation is a removal. In reference to vision, ablation means removing eye tissue to correct vision problems. LASIK and PRK surgeries include removing corneal tissue. Accommodation refers to the way the eye can automatically change from seeing at one distance to seeing at another distance. Presbyopia is a type of accommodation disorder. Occurs when patients loss their central vision because the macula gets damaged. Occurs when the pupils are not of the same size. In a small number of cases, it occurs naturally. Otherwise, it occurs as a result of trauma, tumors, glaucoma, among others. Occurs when the eyes require different prescriptions to achieve good vision for each one because the refractive power differs significantly between them. A standard that was defined for safer eyewear. If your eyewear does not meet the standard, it is considered less safe. The anterior chamber sits behind the cornea in the eye, but in front of the iris and lens. Fluid that separates the cornea from the lens in the eye; clear and watery. If it cannot drain properly, it may lead to pressure and even glaucoma. Aspheric means that the shape is not exactly spherical. Used for strong prescriptions because they cause less distortion and eye magnification, being thinner and lighter than other options. For eyeglasses, or spectacles. A coating or surface treatment that cuts down on glare and reflection. Many opticians and eye care centers in San Francisco can apply this coating to new eyeglasses. Occurs when an eye doctor can see yellowish fat particles that are suspended in the interior of the eye. Usually they do not harm vision or cause symptoms. Typically, the eye should have a shape like a baseball. When it does not, it may be shaped like an egg or a football. The latter care, when the cornea is curved in an asymmetric way, is called astigmatism. This means that the light entering the eye has two focus points on the retina instead of one. A process in which a surgeon reduces astigmatism by cutting the cornea in such a way that it heals into a more spherical shape. Often with tinted lenses and metal frames, aviator glasses feature lenses with a shape like a large, upside-down teardrop. The best vision that a patient can reach using correction like eyeglasses or contact lenses. Lenses that have one section for far vision and one for near. Bifocals are available at all optical centers in San Francisco. Occurs when both eyes can work together – gives the user proper focus, range of vision, and depth perception. Refers to materials that can be used with living tissue without damaging the living tissue. A tool or device that may be put on a pair of eyeglasses to give extreme magnification – for example, to allow a driver to see a street sign. For eyeglasses, the piece that goes across the nose. On eyeglasses, the arm is the piece that passes back around the ear. In a cable temple, the temple wraps around the ear to prevent the eyewear from detaching; it is popular for very young patients. In the eye, canaliculi allow tears to drain from the tear duct into the nose. The word in general refers to any small, tube-shaped passages in the body. A fibrous protein found in the eye, bones, and connective tissue. Eye strain and related symptoms as a result of computer use. It can be dry eyes, blurred vision, burning, headache, or pains in the neck, shoulders, and back, among others. Opticians in San Francisco can give you tips to help you avoid computer vision syndrome and other eye strain causes. A procedure in which radio waves act on the collagen peripheral to the cornea, shrinking the collagen to improve farsightedness. The retina contains photoreceptors that help people view colors – these receptors are called cones. Eye drops formulated for contact lens wearers – they differ from regular eye drops, which can turn contact lenses different colors. The cornea permits light to enter the eye; it sits on top of the pupil and iris. Refers to being able to see for tasks that are at a distance further than an arm’s length – e.g. sports, driving, watching TV, etc. When a person loses vision suddenly and temporarily as the result of a blockage or clot preventing blood flow to an eye. Measurement of how much a particular material slows down light waves as they pass through it. The index is the ratio between light speed in a vacuum and light speed passing through the material. The iris sits between the cornea and the lens. It regulates the amount of light let into the eye by narrowing or widening the pupil. The iris has pigmentation, or color. A condition that occurs when neither surgery nor corrective lenses of any kind can restore good sight. 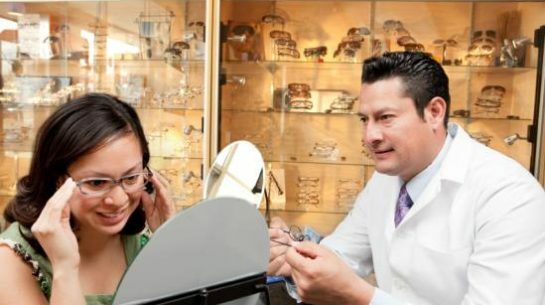 Q: Why choose a Diamond Certified optician in San Francisco? 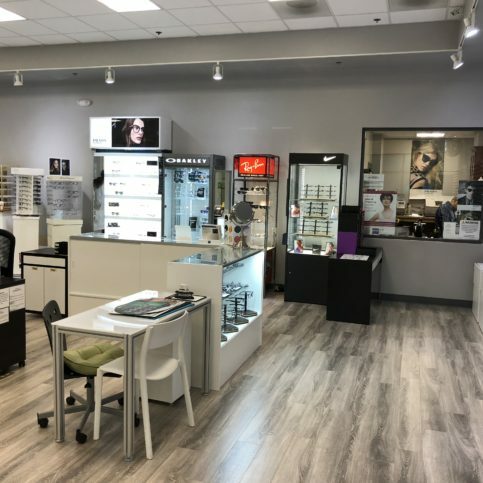 A: Diamond Certified helps you choose an optician in the San Francisco area with confidence by offering a list of top-rated local optical centers who have passed the country’s most in-depth rating process. Only opticians rated Highest in Quality earn the prestigious Diamond Certified award. Most companies can’t pass the ratings. American Ratings Corporation also monitors every Diamond Certified company with ongoing research and ratings. And your purchase is backed by the Diamond Certified Performance Guarantee. So you’ll feel confident choosing a Diamond Certified optician. Q: Why is pupil distance so important? A: When you get a pair of eyeglasses, the center of the lens should sit over your pupil. This is to reduce odd light refractions that can strain your vision. Also, in progressive lenses that provide different ranges of distance vision, the center of the lens is designed to offer the vision correction. For these reasons, you need your pupil distance when ordering glasses. Q: My glasses magnify my eyes and look awful. What can I do? A: Eyeglasses sometimes not only change our vision but also our appearance. Especially for strong prescriptions for farsightedness, a lens may make the eye look disproportionately large. Ask your optician about aspheric high-index lenses. High index lenses use lighter and thinner material than standard plastic for the lens and are shaped differently, too, reducing the degree of eye magnification. Q: I feel like my optician is pushing coatings on me. Are they necessary? A: Scratch resistance, anti-reflective, and UV protection are some of the most common coatings recommended. Anti-reflective coatings can be very helpful with high-index lenses, high-definition lenses, and aspheric lenses given the nature of the material and that the glasses may sit closer to your eye than in the past. UV protection can lift the UV protection to 100%, since plastic already blocks some UV rays. Scratch resistance may help prolong the lens life, and some scratch resistance coatings include limited warranties. Many modern lenses already have these properties of scratch resistance, UV protection, and anti-reflectiveness built in. Ask your optician about the lens material and its properties before buying additional coatings. Q: I have a very strong prescription. How can I avoid very thick glasses? A: Spectacles made with traditional glass or plastic lenses were often very thick, since a large amount of material was needed to bend light to correct vision. With newer materials, the amount of material can be reduced. High-index lenses made from plastics are thinner and lighter than the older plastics. Aspheric lenses use a new way of shaping the surface of the lens so that the amount of curve is changed, producing a better look. Be sure to ask your San Francisco optician if newer materials can be used in your prescription. Q: Can I trust the technician in my San Francisco optometrist or ophthalmologist’s office? A: Technicians working as opticians in the optometrist’s or ophthalmologist’s office do not have to be licensed or certified. They may pursue a voluntary certification from the National Board of Opticianry or the National Contact Lens Examiners, but they don’t have to. The technicians are working under the supervision of the optometrist or ophthalmologist. The technicians obviously have the faith of their employer, or they would not be working there. If you have a relationship with an eye care professional that you trust, then you can probably trust the professionals they surround themselves with. The technicians are covered by the supervisor’s insurance. Q: Why can’t an optician just sell me some colored lenses? A: You need a prescription for any contact lenses, including colored lenses that change the color of the eye but don’t alter vision. This is because a contact lens is considered a medical device and as such must be prescribed. Opticians have no prescribing power. Q: Aren’t doctor’s offices the most expensive place to buy contacts? A: In fact, a doctor’s office may not be the most expensive place to buy your contact lenses. You should definitely ask about pricing. Many doctors give discounts if you buy a lot of contacts, such as a year’s supplies. It is definitely worth comparing prices and considering the costs of shipping vs. picking up in your local office. Q: Do I throw my contacts out? How often should I change them? A: Contact lens care depends on the type of lens. A gas permeable lens may be worn for as much as year, between visits to the eye doctor. Soft lenses, whether the standard hydrogel or the newer silicone hydrogel, have different replacement times, depending on the lens itself. Some may be disposables, used once and then discarded. Others may be worn for a couple of weeks or 30 days. Talk with your optician and be sure you understand the schedule for your specific prescription. Q: What do the numbers on the temple of my glasses mean? A: Often you will see a series of three numbers on the inner temple of your glasses. These are describing the frame’s dimensions. You often need them if you order glasses online. For example, in the case of a series of numbers like 48-19-140, 48 stands for the lens size, 19 for the bridge size, where the glasses span your nose, and 140 is the temple length. The temple is the piece that passes over your ear.